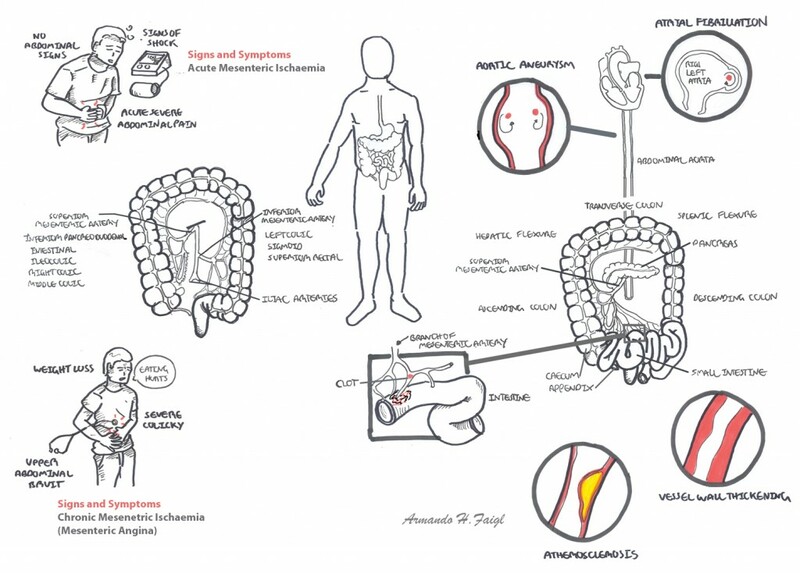 The hallmark of the diagnosis of acute mesenteric ischaemia is abrupt onset of intense cramping epigastric and periumbilical pain out of proportion to the findings on abdominal examination. 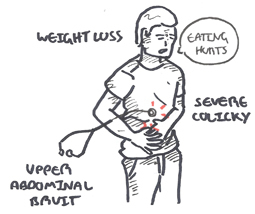 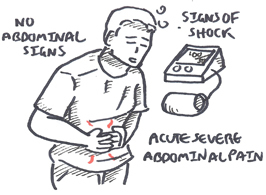 Classical Triad: Acute severe abdominal pain, no abdominal signs, rapid hypovolemic. 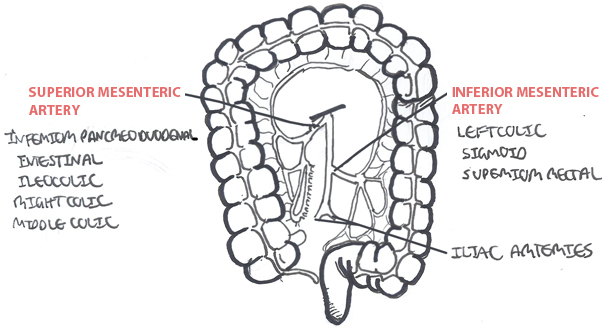 Abdominal X-ray – early may show gasless bowels. Aetiology Acute mesenteric ischemia can result from occlusion of a mesenteric vessel arising from an embolus, which may emanate from an atheroma of the aorta or cardiac mural thrombus, or from primary thrombosis of a mesenteric vessel, usually at a site of atherosclerotic stenosis. 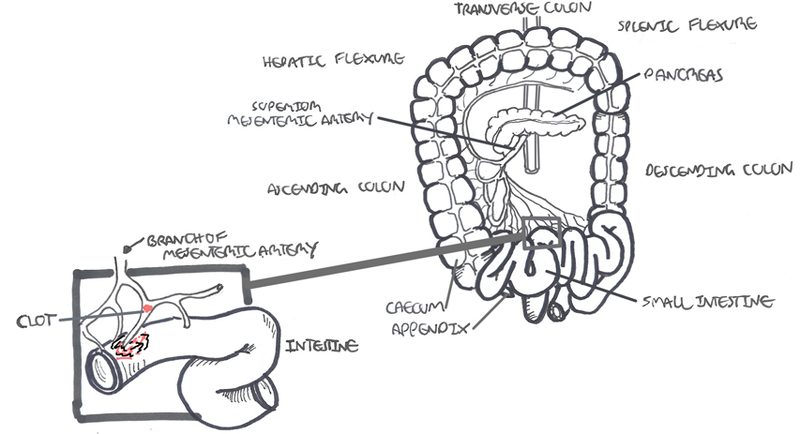 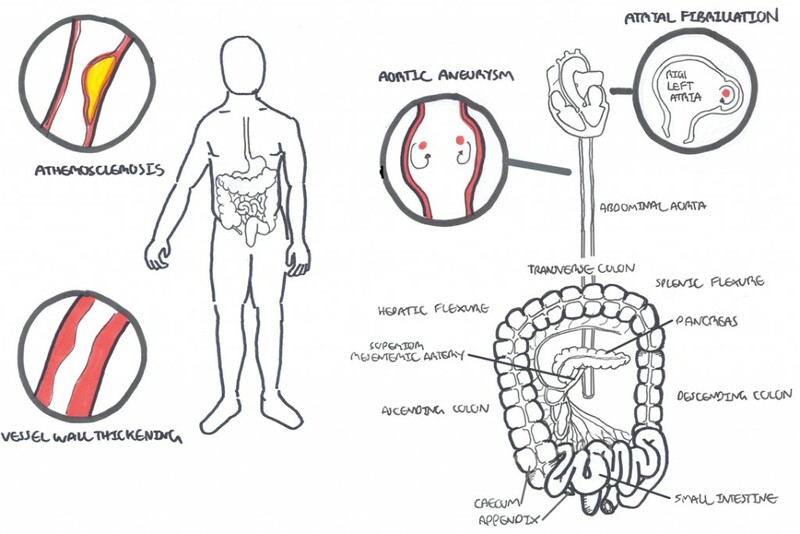 Embolic occlusion is more common in the superior mesenteric artery than the celiac or inferior mesenteric artery, presumably because of the less acute angle of the superior mesenteric artery off the abdominal aorta.